From Edinburh (Leith) to Dover (EUR1215) via Invergordon, Portree, Skye, Dublin, Cork, Milford Haven, the Isles of Scilly, Penzance and Cowes. From £5,220 per person in an outside suite Category 1, double occupancy, cruise only, in the only ship in the world rated Five Stars-Plus by the Berlitz Complete Guide to Cruising & Cruise Ships. * These arrangements are not included in the cruise price. Early Booking Reduction: Book by December 8, 2011 and receive a 5 % reduction! Early Booking Reduction: Book by January 16, 2012 and receive a 5% reduction! Early Booking Reduction: Book by May 2, 2012 and receive a 5% reduction! From Acapulco to Honolulu (EUR1201) via Zihuatanejo, Manzanillo, Puerto Vallarta, Cabo San Lucas, Kailua, Lahaina and Nawiliwili January 4 – 18, 2012, 14 days. Special Cabin Upgrade Offer – Pay the guaranteed suite Category 0 fare of £3,600 per person and you will be upgraded to a veranda suite Category 4 £5,530 per person (fares are cruise only, double occupancy and include fuel surcharge). A savings of £1,930 per person. From her first voyage into the Great Lakes in 1997, Hapag-Lloyd Cruises’ 14,903-ton Columbus has been the largest cruise ship ever to sail the Great Lakes, at least in terms of tonnage. Not only that, but she was the first ship to be built specifically with Great Lakes cruising in mind since the 1,473-ton Norgoma, built to cruise between Georgian Bay ports and Sault Ste Marie in 1950. The idea to build the Columbus stemmed from experience that Hapag-Lloyd masters had gained from the days when they had commanded ocean freighters sailing into the Great Lakes. She was thus designed with flush sides and swivelling bridge wings so that she could transit the locks of the St Lawrence Seaway and the Welland Canal. 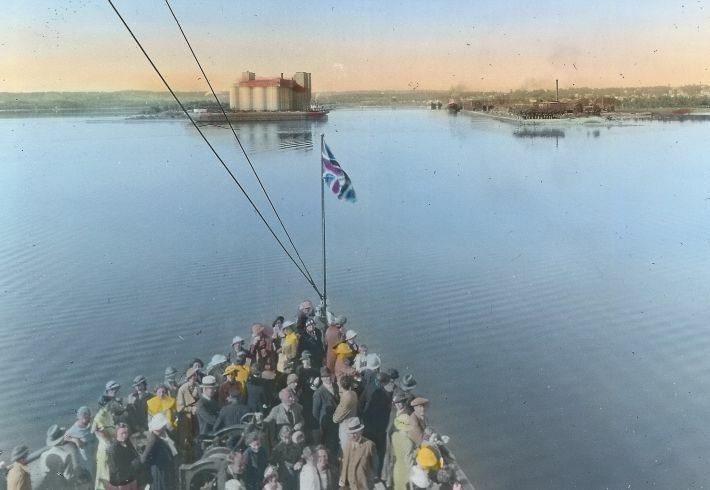 On September 5, the Columbus left Toronto for a 13-night cruise to Chicago via the Welland Canal, Windsor, Little Current, Sault Ste Marie, Thunder Bay, Duluth, Mackinac Island and Traverse City. And on September 18 she repeated the itinerary in the reverse direction, from Chicago to Toronto by way of all the same ports. She has now called at many familiar ports for the last time in Hapag-Lloyd colours. 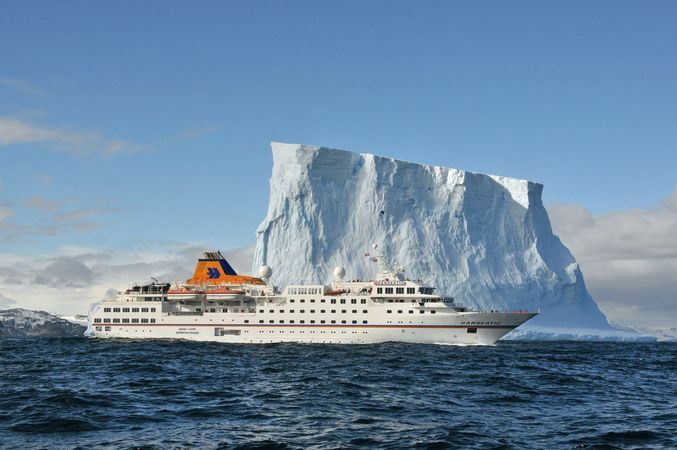 The Columbus’s successor in the Hapag-Lloyd Cruises fleet willl be the 30,277-ton Columbus 2, a vessel that is is too large to enter the Great Lakes. The present Columbus will then be delivered to Plantous & Partner of Bremen, who will operate her from May 2012 as the ms Hamburg. So as she finishes her final Great Lakes season with Hapag-Lloyd Cruises, let us take a brief look at the history of cruising in those waters. “At one time there were more people asleep on boats on the Great Lakes than on any other ocean of the world” – marine historian Harry Wolf. Most people don’t realize that the five Great Lakes – Ontario, Erie, Huron, Michigan and Superior – are where the seven-day cruise originated. This dates to 1894-1895, when the Northern Steamship Company introduced the North West and North Land, with their motto “In all the World, no trip like this.” Among the North Land‘s first passengers was one Samuel L Clemens, better known to most as Mark Twain. Part of the Great Northern Railway system, these ships were described at the time as the “largest, most complete and luxuriously equipped passenger boats in the world.” The return voyage from Buffalo to Duluth or Chicago took seven days, and one of the most popular stops was at Mackinac Island, where automobiles are still not allowed to this day. These very luxurious steamers carried 758 passengers each, with 544 in first class and 214 in second. James J Hill, the line’s owner, also started a Transpacific service known as the Great Northern Steamship Company to give the Great Northern Railway a connection with Japan and the Far East. Many more cruise ships followed, on both sides of the border, carrying happy crowds for many decades, with cruise directors, live bands and even radio broadcasts from on board. The better-known included Great Lakes Transit’s Juniata, Octorora and Tionesta and Georgian Bay Line’s North American, South American and Alabama, and, on the Canadian side, Canada Steamship Lines’ Hamonic, Huronic and Noronic and Canadian Pacific’s Assiniboia, Keewatin and Manitoba. These ships were all between 300 and 400 feet in length, 3,000 to 7,000 tons, and carried between 280 and 500 passengers each. This advertisement for the Georgian Bay Line’s North American and South American, which would each cruise the Great Lakes for half a century, dates back to 1916. The lakes’ fresh water was kind to ships’ hulls and not as corrosive as salt water while an enforced lay-up every winter when the lakes and canals were frozen allowed owners to keep their ships in tip top condition. The one black spot would be the loss of the Noronic to a fire at Toronto in 1949. .Overnight lines also got into cruising when the Detroit & Cleveland Navigation Company began a Detroit to Chicago service via Mackinac Island in 1924, with the 500-berth Eastern States and Western States. This service became the company’s “Cruise Division.” In 1933, the Cleveland & Buffalo Transit Company, which had offered end-of-season cruises since 1921 with its four-funnelled 1,500-passenger 6,381-ton Seeandbee, began offering seven-day Great Lakes cruises all summer long. 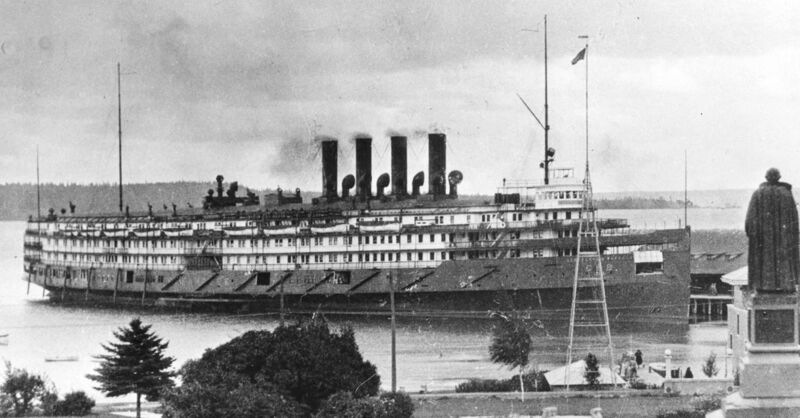 Unlike traditional cruise ships, these were big side-wheel paddle steamers, the largest in the world, and they continued cruising until 1950, when D&C, deprived of its overnight business by the advent of the superhighway, closed down. Their most interesting amenity was suites with private balconies, many decades before they were introduced in cruise ships. Most of the traditional ships, in typical lakes fashion, had their engines aft, presaging modern-day cruise ship design. These ships carried on for several years, until Canadian Pacific’s Assiniboia and Keewatin were withdrawn in 1965, and the Georgian Bay Line’s South American in 1967, victims of obsolescence and new fire regulations. The Keewatin is now a museum ship near Saugatuck, Michigan, while the 100-passenger Norgoma, which sailed for the Owen Sound Transportation Company, fulfils a similar role at Sault Ste Marie, Ontario. Overseas ships have also cruised the Great Lakes. From 1959, when the St Lawrence Seaway opened, to 1963, the Oranje Line offered cruises on three passenger/cargo ships carrying 60 to 115 passengers each between Montreal and Chicago while on their voyages to and from Europe. In 1959, Sun Line operated the first Stella Maris into the Great Lakes on a number of cruises from Montreal to Toronto, Hamilton and Rochester. Midwest Cruises of Indianapolis offered two seasons of Great Lakes cruises between Montreal and Chicago with the 233-berth Stella Maris II in 1974 and the 168-berth Discoverer in 1975. More recently the lakes have seen the 90-berth French-flag Le Levant, built in 1998, and the 96-berth German-owned Orion, which Travel Dynamics engaged for the trade in 2004. 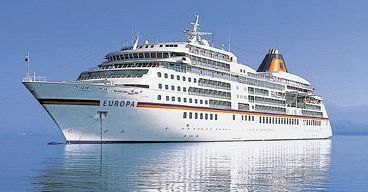 Between 1997 and 2011, Hapag-Lloyd Cruises’ 420-berth Columbus became the largest ship to cruise the lakes, but she will leave the fleet in 2012. 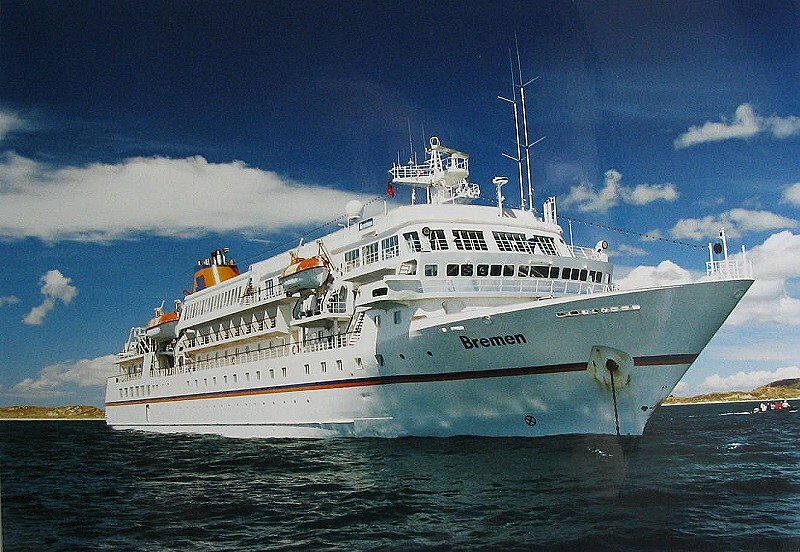 Most recently, in 2009 and 2010, Travel Dynamics operated the 100-berth Clelia II, soon to be replaced by the 138-berth Yorktown, which will offer thirteen Great Lakes cruises in 2012. Details of the Yorktown‘s Great Lakes cruises can be found here. 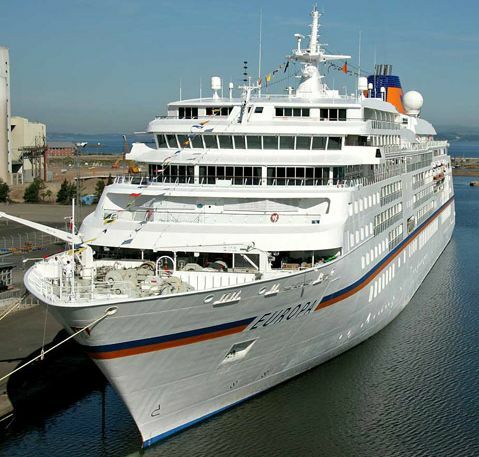 For further details of cruising with Hapag-Lloyd Cruises please call Gay Scruton at The Cruise People Ltd in London on 020 7723 2450 or e-mail cruise@cruisepeople.co.uk for further information.